If anyone knows the solution to this problem please let me know. I will post the solution once I know it. We are having a problem with InCopy CS6. 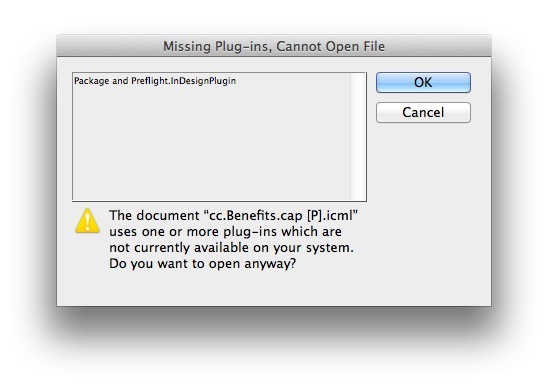 Every time we open an article that is attached to a layout with InCopy we get a warning that the Package and Preflight.InDesignPluginis missing. If there are 3 articles attached to the layout this will appear 3 times. If you click on the OK button the article will appear and can be edited. But this is a major pain. ← Why the Adobe Extensions Manager?